When managing a large portfolio of projects, sometimes, you might need to allocate people and resources in order to mitigate risk, act on relative criticalities and optimize your capacity to its fullest extent. I remember a story my friend and colleague Steve Tendon once told me. When he started working with a client, there was a portfolio committee meeting every two weeks managing 6-7 streams of 40-50 projects. The meetings lasted anything between 4 to 6 hours. When having to optimize capacity according to the risk of failing to finish a project on time, it was all HIPPO (highest paid person in the room) decision making, despite the 300 slides; where each project/product manager was making their case and begging for people and resources. In addition to all the time wasted by mid and senior level managers attending the meeting, consider all the other damage that such decisions caused. Leaders went back to their teams disappointed to inform them that no reinforcements are available but the projects at risk are still expected to finish on time. This resulted in additional stress and an increased risk of overburdening the team. Nonetheless, such decisions affected employee morale, which is critical for succeeding in the face of unfavorable odds. If this sounds familiar and you would like to see an alternative, the rest of this article can prove to be the remedy for a very common management pain: taming coordination costs. In their nature, coordination costs are invisible and tend to behave in an exponential manner. Few people know that it is possible to use CCPM’s buffers for explicit risk management in Kanban. Just to be on the same page, by CCPM I mean critical chain project management. If this is your first time hearing about it, CCPM is a project management methodology introduced by Eliyahu M. Goldratt about two decades ago. It applies the Theory of Constraints (TOC) to resolve project task and delivery issues. With their help, you can mitigate risk according to a project’s critical path, which is basically the inevitable path required to complete all tasks comprising it. 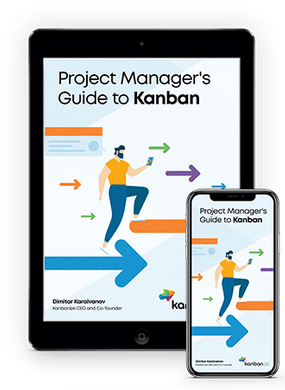 In order to elevate the critical path as a constraint, you can use the MMR buffer from Steve Tendon’s Tameflow Kanban. 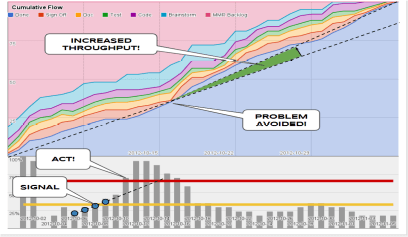 Afterward, using a CCPM buffer as a leading indicator of risk materialization, you can differentiate between common cause and special cause variation and act way before a cumulative flow diagram (CFD) would lead you to take action. At this point, we should understand that MMR – Minimum Marketable Release and MVP – Minimum Viable Product are synonymous. Each MMR is, in fact, a target-scope project that can be part of a portfolio as illustrated below! The MMR buffer can be considered by all means analogous to the Critical Chain Project Management’s Project Buffer. It is not a kind of padding that we add just in case something goes wrong. 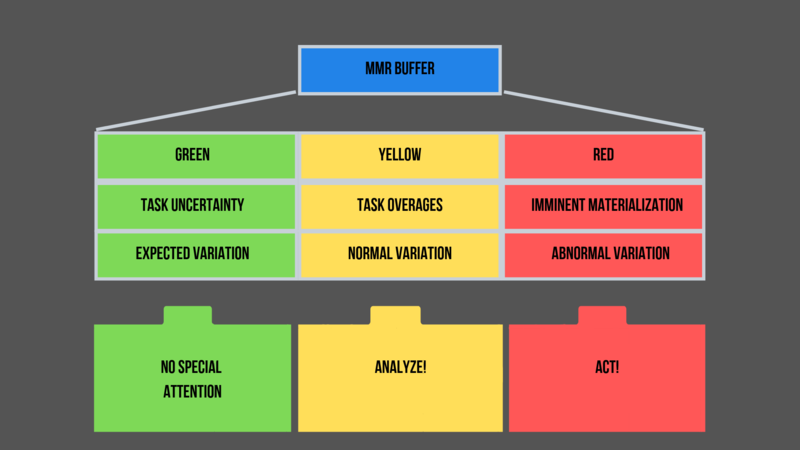 Although it is often presented like this and can even be misused with that intention in mind, the MMR buffer is in line with Goldratt’s CCPM buffer: an operational monitoring tool that gives significant leading signals of oncoming risk materialization. Hence the MMR buffer is not there to reduce variability, it is instead used to detect unfavorable variability early enough. 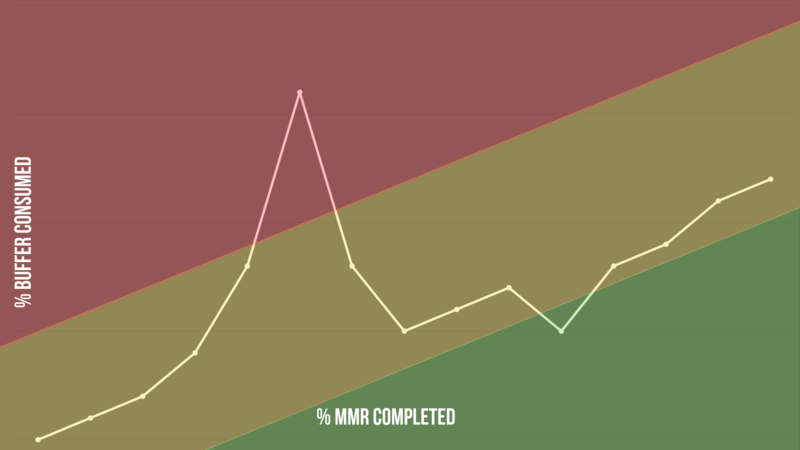 1)The basic representation of an MMR buffer is in its Fever Chart format. It shows the buffer consumption (as a percentage) towards MMR completion (also as a percentage). 2)The nice thing about the ‘consumption’ of the MMR buffer is that it is on the same scale as that of a CFD. For that purpose, the Fever Chart can be transformed into a Buffer Control Chart. Imagine putting it below a CFD and see how fast you can act on risk materialization! You have gained 6 units of time ahead of what the CFD would have told you! 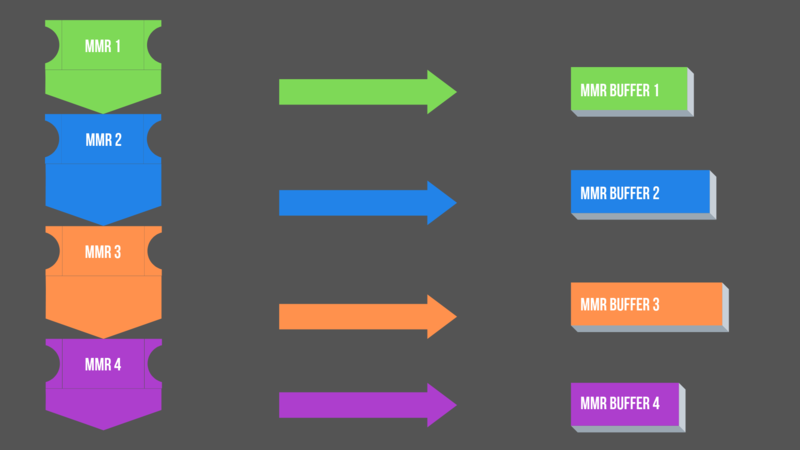 3)We can now have a transformation to an MMR Bubble Chart by incorporating projects. If you look at the GIF below, you will see that labor liquidity decisions are leveraged: No one should ping a resource from project B, which is red! Looking at the graph from week 5 to 9 you see the dynamics. You see the trends. To conclude it is only fair to give you the rest of the story about the long meetings that you have read at the beginning of this article. The company that was wasting between 4 and 6 hours every couple of weeks to decide how to optimize capacity started using buffers to mitigate risk. As a result, those meetings were reduced to 15 minutes. Thanks to the bubble chart, the management team was now able to set priorities right in relation to the most critical project. Daniel has been involved in IT since 1981 in a wide range of roles and responsibilities, primarily in client-facing consulting projects covering the government, banking, insurance, and telecom industries to name a few. 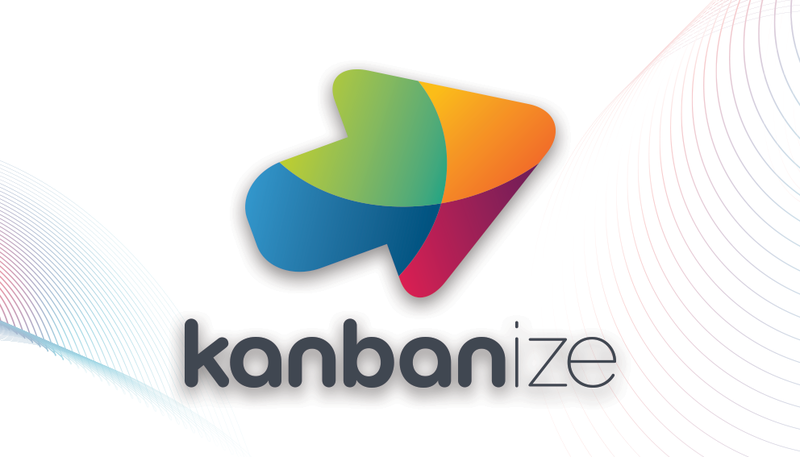 Daniel’s involvement with Agile started with Scrum in 2005 and more recently with Kanban and Management 3.0. Daniel is heavily involved with Steve Tendon’s Tameflow method. He is proficient with working expertise in Finance/Accounting/Managerial control (MBA-CPA-CMA), Agility (CSP), Project Management (PMP), Kanban (CKC and CKP) coupled with 38 years in IT (Bachelor studies & career). This entry was posted in Experts Speak on February 4, 2019 by Alex Novkov.